Apple on Thursday began making 4K HDR content available in its iTunes Store. 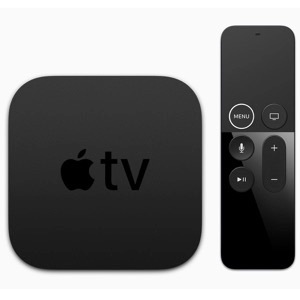 The new content began appearing in the store one day ahead of the start of preorders for the Cupertino firm’s new Apple TV 4K set top streaming box. Movies, television episodes, and other video content available in 4K HDR will be designated by special icons, as shown in the screenshot above. 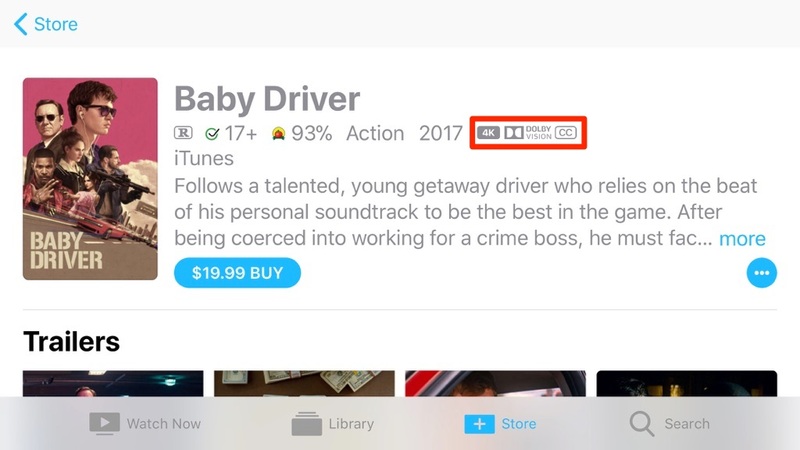 The designations are reportedly not appearing uniformly across platforms at this time, as AppleInsider reports some movies are displaying the “4K” and “Dolby Vision” icons on iOS, but not the Mac. Apple TV 4K preorders also went live on Friday ahead of a September 22 release. The new box is powered by an A10X Fusion chip, and can output video at a resolution of 3,840-by-2,160 pixels and offers support for HDR standards. The new 4K and HDR-capable set top streaming box is currently showing a September 22 delivery date for the 32GB model, while the 64 GB model has seen its shipping estimated slip to 2 – 3 weeks. The 32GB model is priced at $179, while the 64GB version comes runs $199.